On March 17th, the National Labor Relations Board (NLRB) issued another decision unfavorable to McDonald’s USA and certain McDonald’s franchisees. This was the Board’s fifth decision in this massive case, in which the unions and the Board’s General Counsel are trying to prove that McDonald’s and its franchisees are a joint employer of the franchisees’ employees, and McDonald’s is therefore responsible for any unfair labor practices of its franchisees. 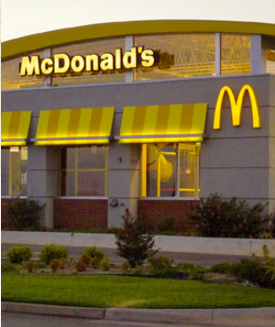 In the latest development, a two member majority of a three member NLRB panel agreed with an administrative law judge’s decision to severely limit the scope of documents which McDonald’s could subpoena from the unions and other non-party organizations which had assisted the unions in their efforts against McDonald’s. The labor unions, which are the charging parties, are the Service Employees International Union (SEIU), Fast Food Workers Committee, Pennsylvania Workers Organizing Committee (a project of the Fast Food Workers Committee), Workers Organizing Committee of Chicago, Los Angeles Organizing Committee, and Western Workers Organizing Committee. Categories: Labor Law | Tags: franchisee, franchisor, joint employer, labor unions, McDonald's, National Labor Relations Board, NLRB | Permalink.